LOW Season - Rp 8 900 000++ up to 2 guests. Late check out if available to 6pm. AND 5 % (PER CENT) SERVICE FEE. To view availability or to book direct, please click on the BOOK NOW button above and you will be redirected to our booking engine. To View our TERMS & CONDITIONS...please CLICK HERE. Please click on the image above and be redirected to check availability, rates and BOOK DIRECTLY with us, thankyou. 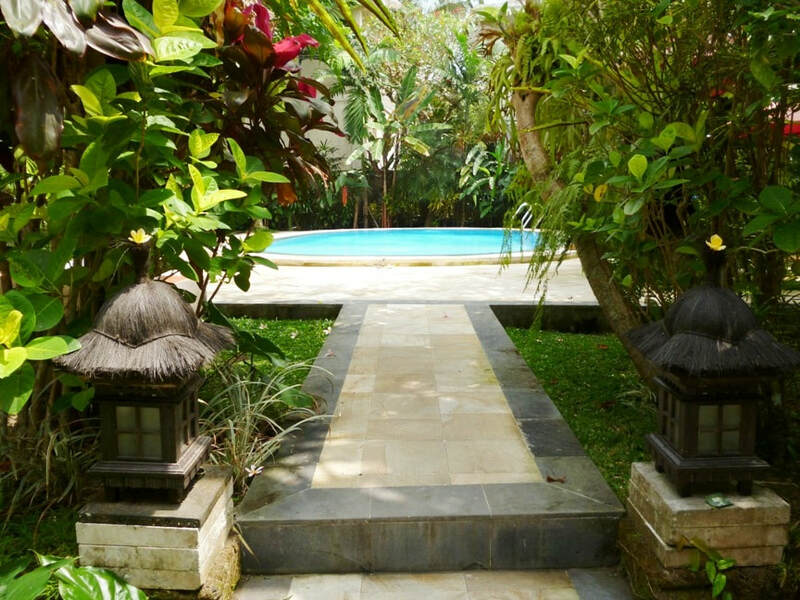 Ayu Executive Air Con Cottage is a fully furnished, one bedroom Balinese-style villa, nestled in the lush gardens of Sama’s Cottages, only a 5 minute stroll from the centre of Ubud and all its wonderful restaurants, boutiques, spas and yoga centres. It is a perfect retreat for a couple or a single person wishing to take a relaxing break from it all. With a private veranda, enclosed garden and shared pool, this peaceful stand alone, private cottage truly is the perfect place to base yourself while in Ubud. Our gracious staff take pride in ensuring you have a memorable stay. Outside catering (many choices available from any of the fantastic Ubud restaurants) served by our staff in the privacy of your villa. We also offer other properties for holiday rental.